W.F.Young, the most trusted name in equine care products, engaged Product Ventures to refresh their line of ShowSheen® spray bottles. Product Ventures visited local stables to observe groomers in their own environment and gain an understanding of the pain points and compensating behaviors with their grooming products. 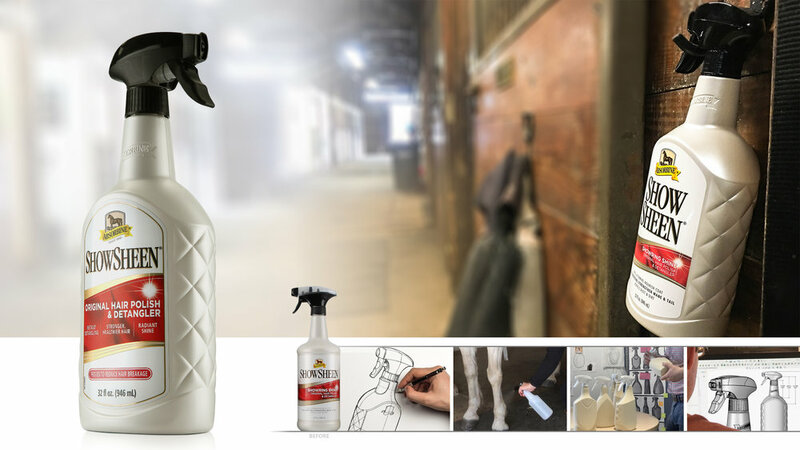 Our engineers sourced and tested a litany of sprayers and triggers to find the best solution for the rigors of stable use, and our industrial designers brought forth the visual language and classic beauty of equestrian style in a unique bottle design with saddle-shaped shoulders and diamond quilt details.